NAS-RwandAir has completed construction and development of two new airport lounges, which it plans to officially unveil in the next few days. The firm, a joint venture of National Aviation Services (NAS) and national airline RwandAir, is tasked with managing all lounges at the Kigali International Airport. It was created early this year. Denise Rwakayija, the company’s General Manager, told The New Times that the new lounges will complement the existing lounge which didn’t have enough capacity to handle the increasing traffic. “We had the existing Pearl Lounge at departure area and the new lounges that we have completed are the Dream Lounge, which is also at departure, and another one in the arrival side. They will handle the growing traffic,” she said. With the arrival lounge, premium passengers can pay a certain fee and walk into an arrivals lounge. “What we are trying to do is to create a world-class experience at the airport. Basically, when a passenger comes from Europe, the Americas or another (developed) country, what they find here is what they are used to see in other world-class airports,” Rwakayija said. She added that the changes and the innovation they are bringing are well aligned to this focus. 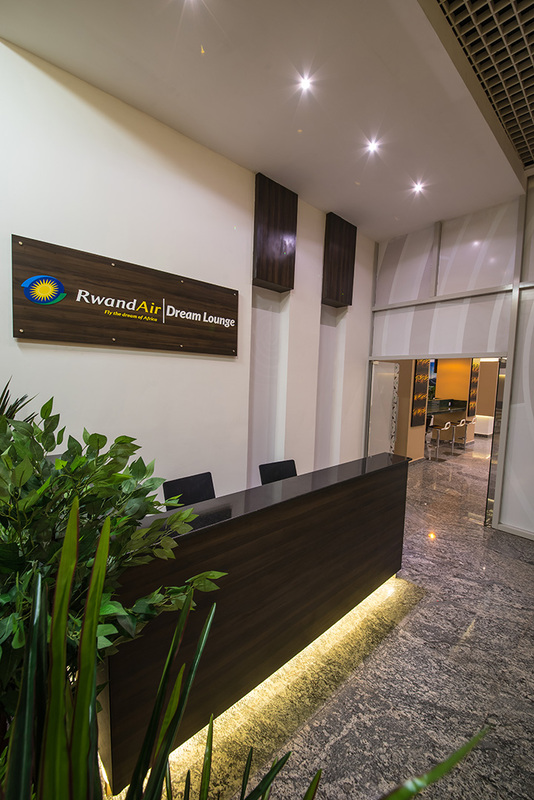 The Dream Lounge, on the other hand, is a VIP lounge that will be exclusively dedicated to RwandAir premium clients – business class passengers and frequent flyers, while passengers using other airlines will continue using the Pearl Lounge. The Dream Lounge, officials say, has the capacity to accommodate slightly over 100 people. The arrival lounge can accommodate over 25 people but with similar services provided at other lounges. Worldwide, these kinds of lounges tend to have little traffic. “There are scenarios where a passenger arrives at 5am to attend a conference at 8am, and they don’t find need to book a hotel. So they are happy to use the arrival lounge to look at their work, prepare their presentations, take a quick shower, have breakfast and head to the conference,” Rwakayija noted. She added that these kinds of passengers and other high- profile passengers, like investors and celebrities who arrive at airports and don’t necessarily have to go through all the processes at the immigration, are the target market for NAS RwandAir. The company says their decision to expand the lounges was informed by the potential they saw in the market as well as the growing demand for premium services. Last week, the new lounges were temporarily opened for delegates who were coming in to attend the International Conference on Family Planning, a meeting that brought together over 3,700 participants. What does the future hold for SAA?